YOGA in SEDONA… You’ve come to the right space for Sedona Yoga Classes. 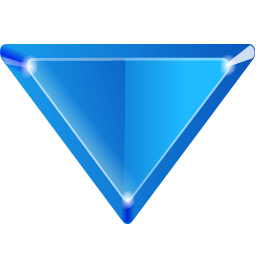 CLICK BELOW FOR A PARKING MAP! 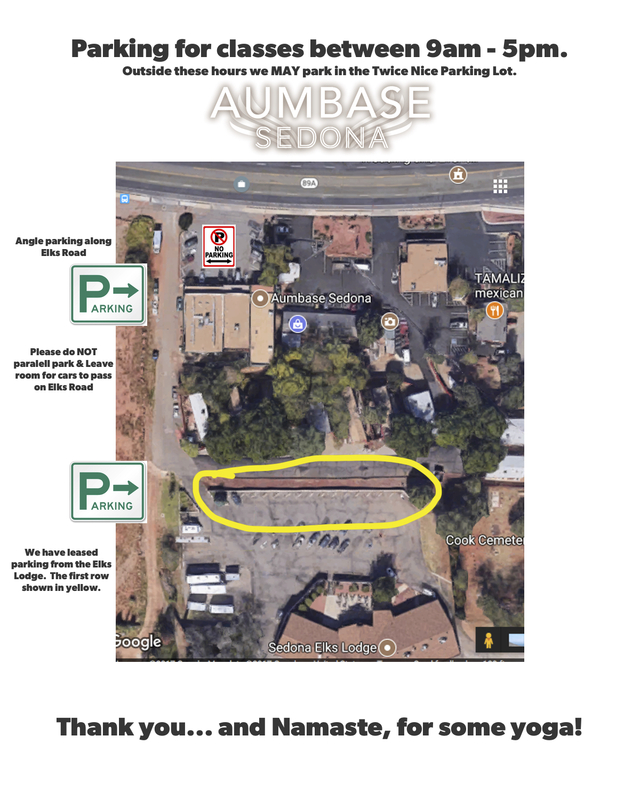 WELCOME TO AUMBASE SEDONA YOGA STUDIO! & experience your Yoga in Sedona! ANGLE PARKING is on ELK ROAD or at ELKS LODGE in the North facing spots. 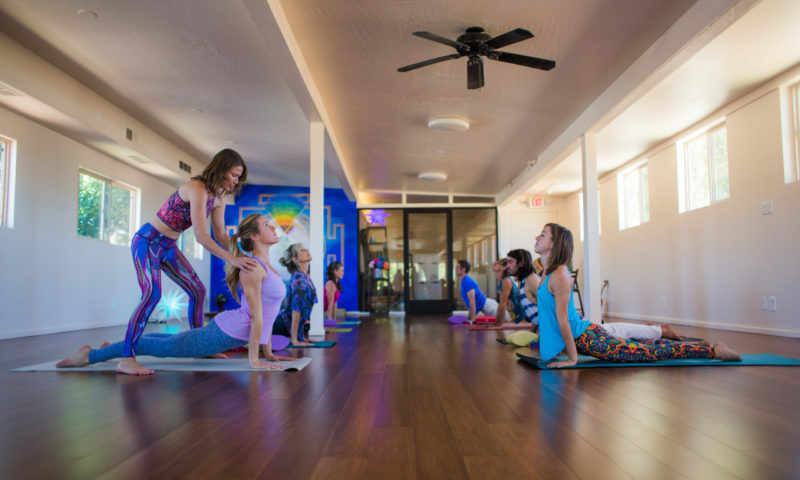 Energy abounds here and Yoga in Sedona effectively amplifies your experience of it. 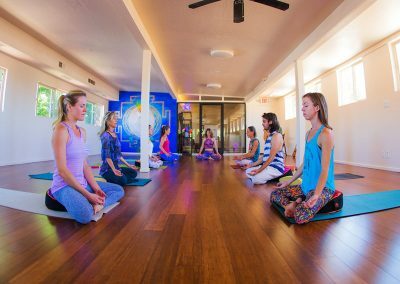 Aumbase offers daily drop-in Sedona Yoga Classes, where you can literally drop in and tune out the outside world. Heavy is the burden these days and at this studio we believe in relaxation. 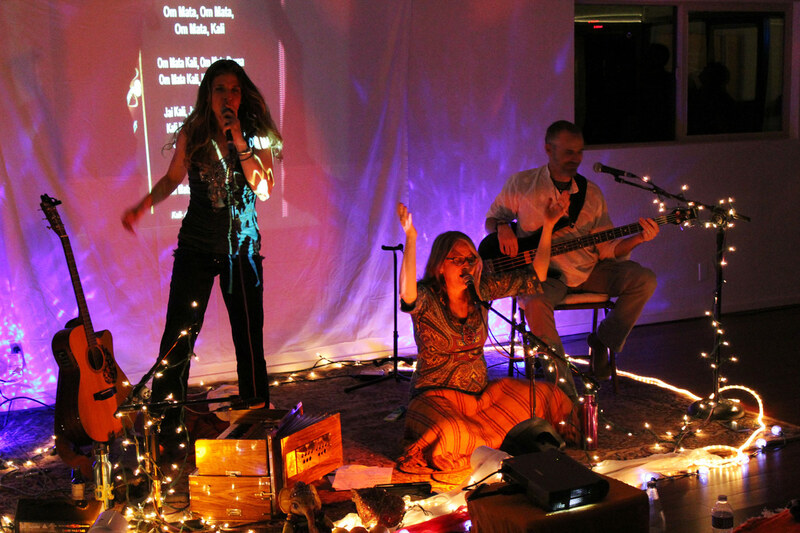 We provide a safe and sanctified space for you to explore the various facets of the mind, body, spirit complex. We are a group of Sedona Yoga Teachers, with strong personal practices that have changed our lives. We have experienced yoga in Sedona to somehow aid or facilitate transformation. It is fact. 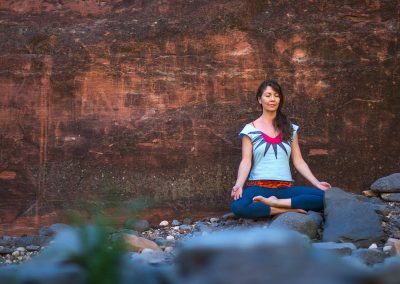 CHECK OUT THESE SEDONA YOGA CLASSES AND DROP IN… AS OFTEN AS YOU LIKE, FOR SOME AUMAZING YOGA IN SEDONA! 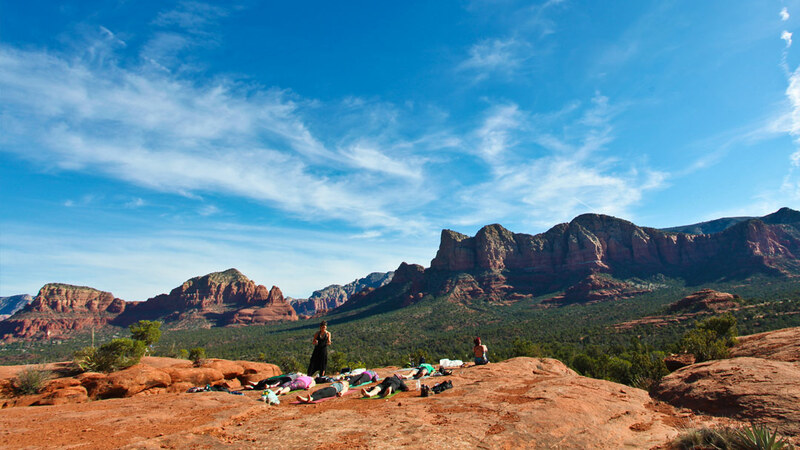 In addition to conducting Sedona Yoga Classes at the Studio, Aumbase Sedona is permitted by Coconino National Forest to guide groups of up to 6 people out onto dozens of trails, including many of the powerful vortex locations. Our Sedona Hiking Guides are yogis who have strong connections to the land and authentic yoga practices that make these tours unique and inspiring. 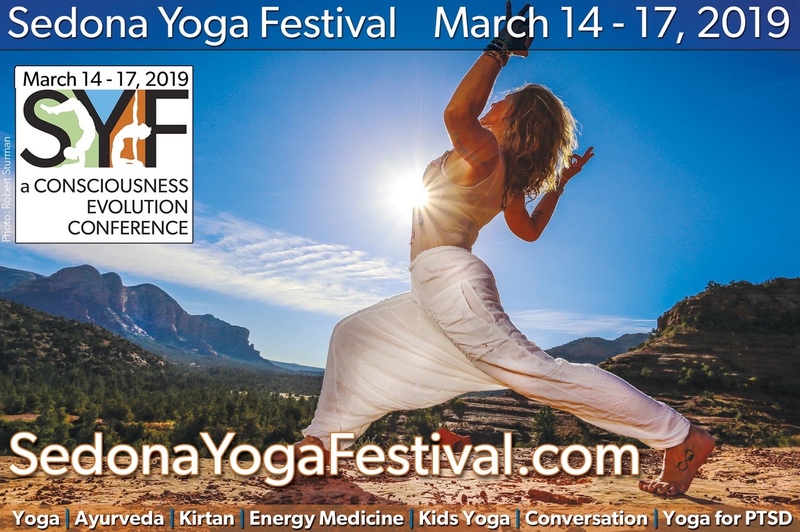 Enjoy the Sedona landscape with a skilled guide and experience your yoga in Sedona at high vistas, gentle creeksides, and everything in between and create your own Sedona connection, through yoga. Whether you are looking for an adventure with friends or family, a romantic hike, or a private yoga session, Aumbase will craft a custom experience for you, or you can choose from the predesigned tour options. Review the opportunities below for yoga hikes and weekly outdoor yoga classes on the Vortex, and click through to explore more on the land offerings: sound healing, and shamanic journeys. Yoga Nidra • Prana Shakti & More! Aumbase Sedona doesn’t only offer Sedona Yoga Classes! We are truly unique studio in that regard, as we are permitted by the Coconino National Forest (all the wildlands you see around town) to conduct outdoor yoga classes. We can provide a Sedona Hiking Guide for some hiking yoga on the best trails in Sedona AZ. We are an on the land or in the studio kinda place. 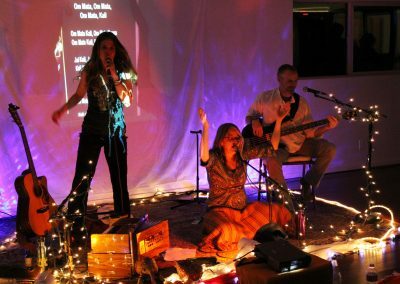 We like to have fun… we facilitate transformations, as we have ourselves transformed as a result of this place. Yoga in Sedona means something different to everyone… regardless, we are here to help you experience it. In the best way possible and for the good of all kind. Have a look around! Everything can be booked online, but feel free to call if you need any assistance.